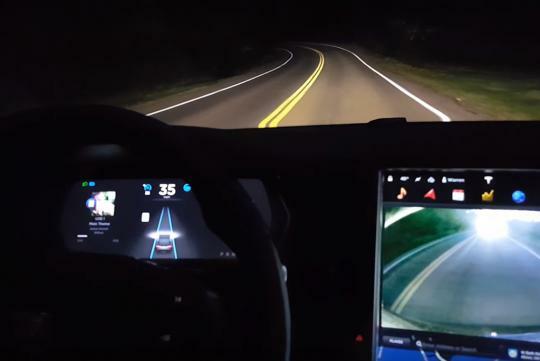 A Tesla Model S was involved in an accident in early May while using its Autopilot self-drive mode. Its driver died in the crash. According to Carscoops, this is believed to be the first death related to a vehicle with a semi-autonomous driving feature engaged. National Highway Traffic Safety Administration (NHTSA) said that it was aware of the accident and has launched a preliminary investigation by sending a team to examine both the car and the crash site. Tesla issued a statement via a blog post saying that it was the first known Autopilot death in some 209 million kilometres driven by its customers, and insists that the autonomous system is getting better. It then went on to say, 'neither Autopilot nor the driver noticed the white side of the tractor trailer against a brightly lit sky, so the brake was not applied'. Meanwhile, Bloomberg has already reported several organisation raising questions about self-driving vehicles and whether autonomous systems are ready for consumers. One of these include CarLab Inc., a consulting firm in California. Its President had harsh words for Tesla, saying that Autopilot 'is a new technology and still in public beta phase. No other automaker sells unproven technology to customers'. It added on that it should do more testing with trained drivers and not leave it in beta mode to allow consumers to test the system. Still lots of teething problems. Like many other innovations more real life interaction and integration.